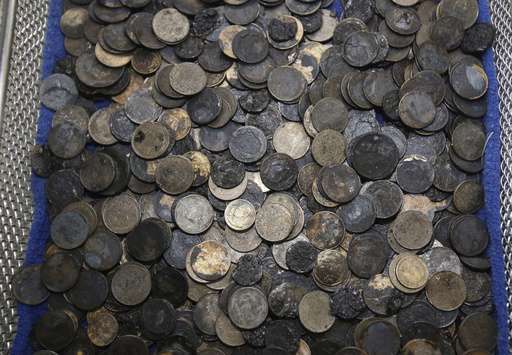 Tossing coins in a fountain for luck is a popular superstition, but a similar belief brought misery to a sea turtle in Thailand from whom doctors have removed 915 coins. 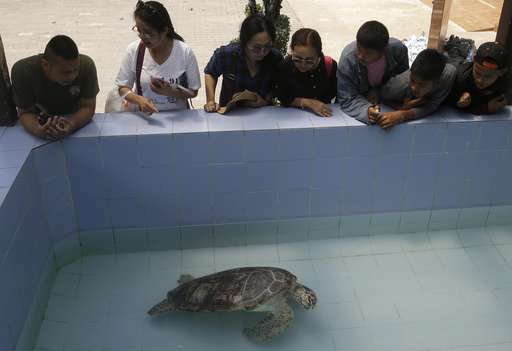 Veterinarians in Bangkok operated Monday on the 25-year-old female green sea turtle nicknamed "Bank," whose indigestible diet was a result of many tourists seeking good fortune tossing coins into her pool over many years in the eastern town of Sri Racha. Many Thais believe that throwing coins on turtles will bring longevity. Typically, a green sea turtle has a lifespan of around 80 years, said Roongroje Thanawongnuwech, dean of Chulalongkorn University's veterinary faculty. It is listed as an endangered species by the International Union for Conservation of Nature. The loose change eventually formed a heavy ball in her stomach weighing 5 kilograms (11 pounds). 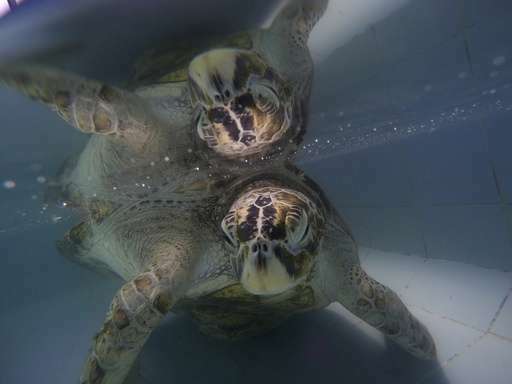 The weight cracked the turtle's ventral shell, causing a life-threatening infection. Five surgeons from Chulalongkorn University's veterinary faculty patiently removed the coins over four hours while "Bank" was under general anesthesia. The stash was too big to take out through the 10-cm (4-inch) incision they had made, so it had to be removed a few coins at a time. Many of them had corroded or partially dissolved. "The result is satisfactory. Now it's up to Bank how much she can recover," said Pasakorn Briksawan, one of the surgical team. 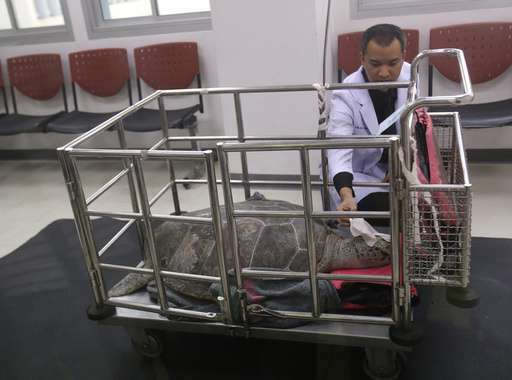 While recovering in Chulalongkorn University's animal hospital, the turtle will be on a liquid diet for the next two weeks. Bank was brought in to veterinarians by the navy, which found her ailing in her seaside hometown. It was only after a detailed 3D scan that veterinarians pinpointed the weighty and unexpected problem. As well as the coins they also found 2 fish hooks, which were also removed today. 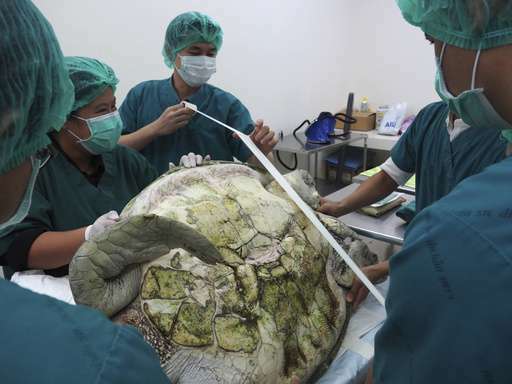 The surgery team leader said Monday that when she discovered the cause of the turtle's agony she was furious. 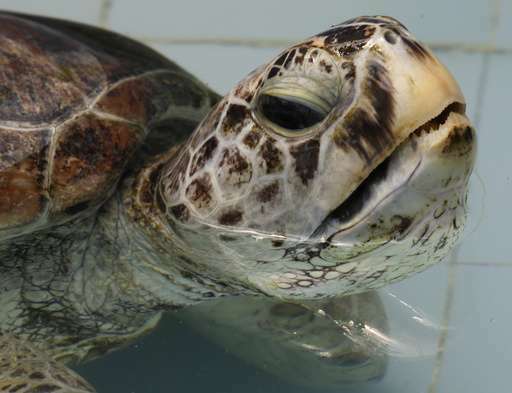 "I felt angry that humans, whether or not they meant to do it or if they did it without thinking, had caused harm to this turtle," said Nantarika Chansue, head of Chulalongkorn University's veterinary medical aquatic animal research center. Thai media began publicizing the turtle's tale last month after she was found, and in response, some 15,000 baht ($428) in donations was raised from the public to pay for her surgery.